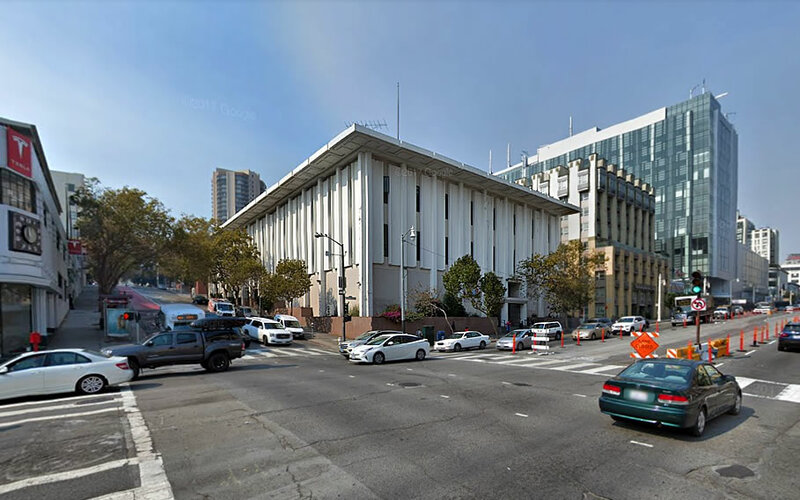 Plans to raze the former KRON TV building at 1001 Van Ness Avenue and develop a 14-story building, with 239 condos over 5,000 square feet of retail space fronting Van Ness, were approved two years ago but never broke ground. But that doesn’t mean there hasn’t been any behind the scenes movement with respect to redeveloping the site. In fact, both demolition and building permits for the site have been requested. But the previously approved plans have been scrapped. 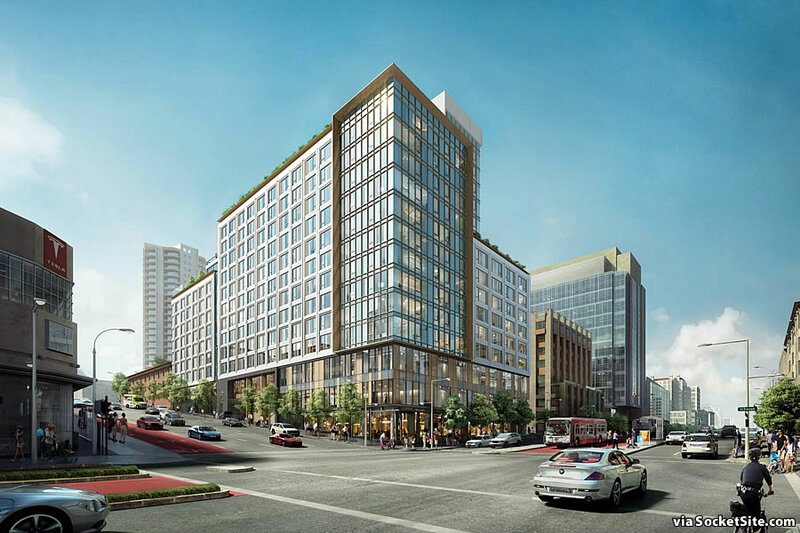 Instead, Oryx Partners is now planning to build a residential care facility on the Cathedral Hill site, with 247 assisted living units for seniors over 8,200 square feet of ground floor retail space, the new plans for which are working their way through planning. We’ll keep you posted and plugged-in. 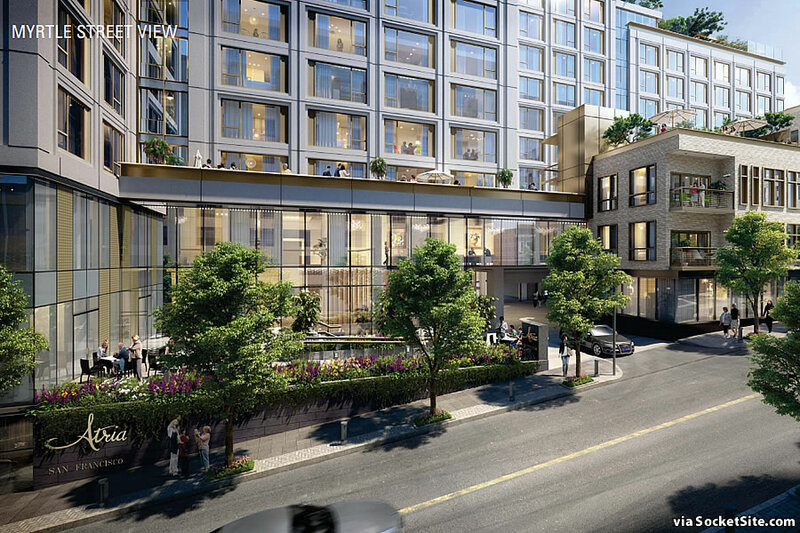 Oryx Partners has since revealed that they’re planning to partner with Atria Senior Living on the project, as “condos are not now financially feasible at the current location,” and that the exterior design of the proposed project would remain roughly the same as previously approved. 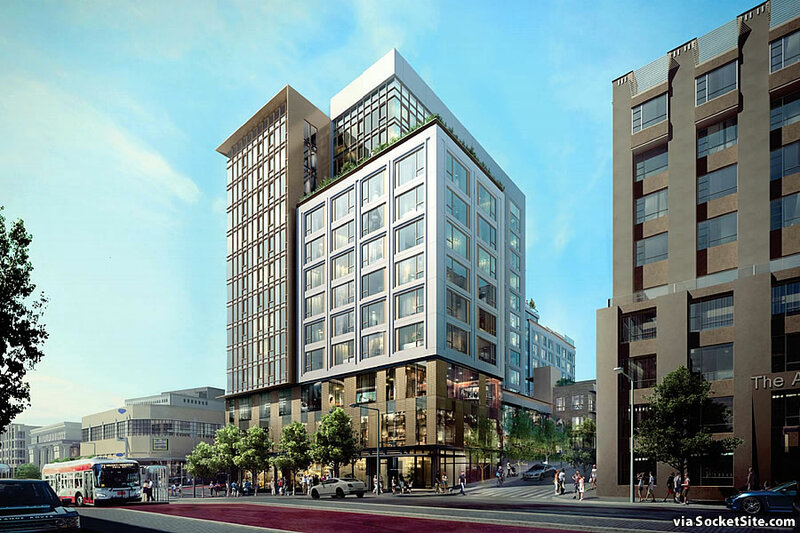 And as newly rendered below by Handle Architects, the refined plans for the development, which now include a formal entry plaza, a series of flats and the entrance to a 46-car garage along Myrtle Street, are slated to be approved by San Francisco’s Planning Commission on Thursday of this week. How many of these seniors are expected to be driving? 46 cars seems high for an assisted living facility along Geary BRT, Van Ness BRT and Golden Gate Transit route. Did you really just ask that? The parking is for the people employed there. The new CPMC Sutter Health hospital in the background is a stunningly beautiful design. Perhaps in the not too distant future it will be renamed Geriatric Boulevard – especially now that the new CPMC is taking customers. Do they have to give away BMR units with an assisted living facility? if not, no wonder they are changing their plans. Isn’t there an existing elder care place next door? 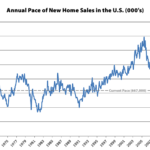 Boomer elder care is booming! 46 parking spaces – Yes Virginia – Senior Citizens drive cars too you know…..
And if they don’t, the caregivers might, and possibly family when they visit. 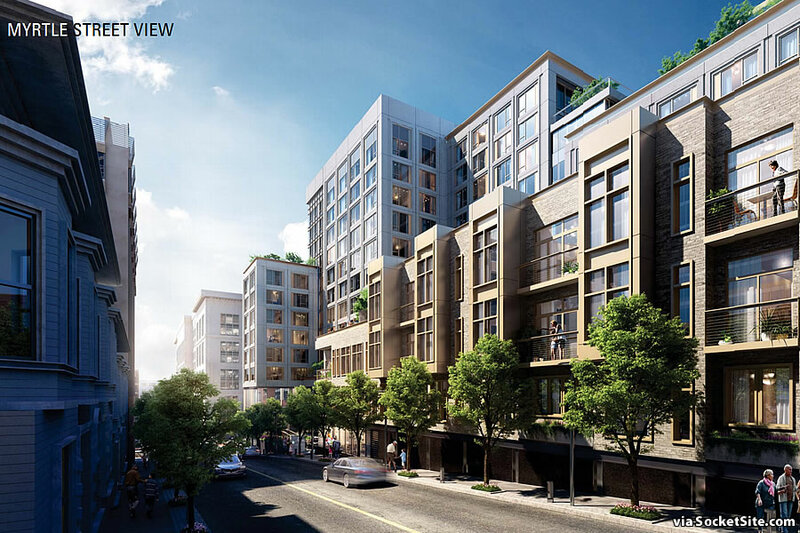 This is great for the neighborhood and the design along Myrtle Street is really compelling. I’m excited for this project to get started. The KRON building and surrounding area are a little rough right now.